HUDY Flywheel Tool is CNC-machined from premium Swiss 7075 T6 aluminum, hardcoated for long life and highest durability. The tool is hardcoated using the world‘s most modern fully-automatic, robot-operated hardcoating line to ensure the highest quality of the process. The Flywheel Holder will hold all modern RC nitro car flywheels with 2-to-4 pin designs. 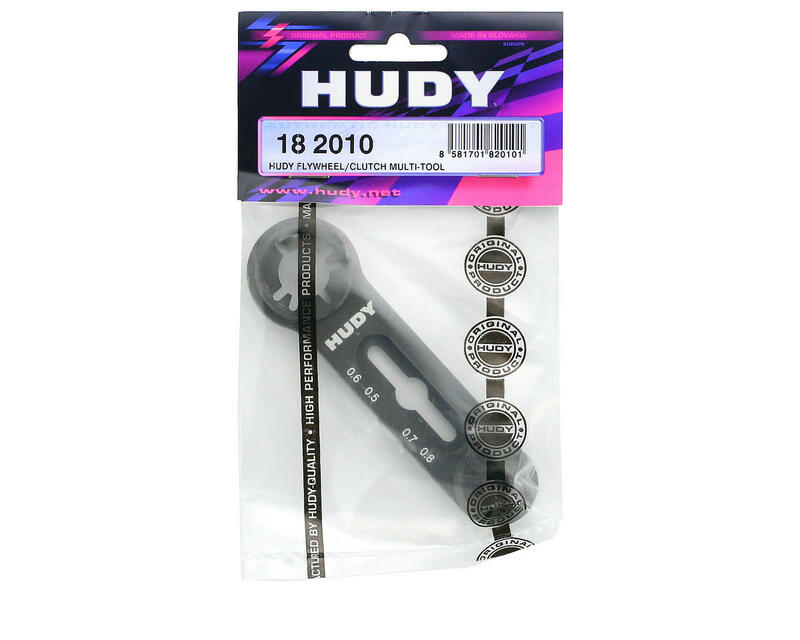 The HUDY Flywheel Tool enables you to loosen or tighten the flywheel nut very comfortably and easily. The Flywheel Tool may be used for on-road and off-road flywheels. To tighten or loosen the flywheel nut simply slide the tool onto the flywheel pins using the correct slots depending on the type of flywheel used and hold it. The tool enables you strongly hold the flywheel and using a clutch nut tool you can easily tighten or loosen the flywheel nut. 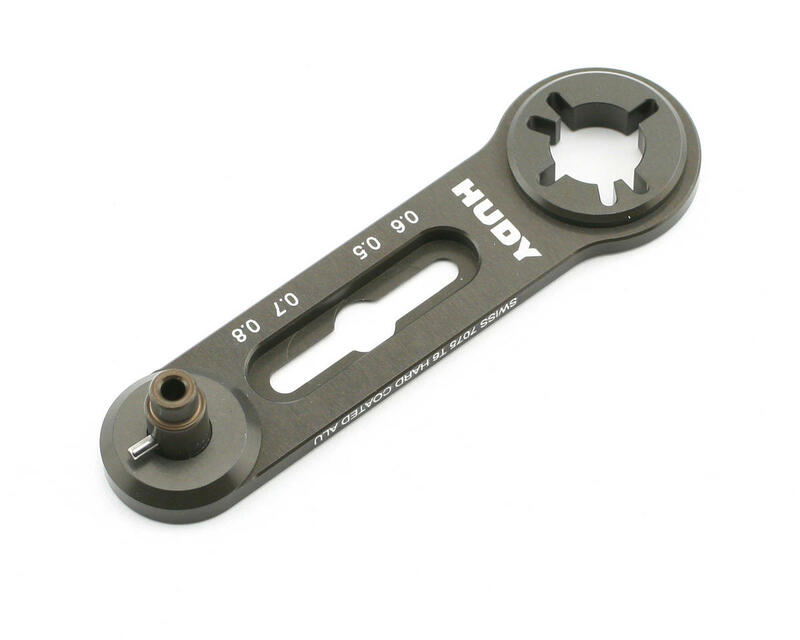 Another excellent feature of the HUDY Flywheel Tool is the Clutch Gap Measuring Tool, which allows you instantly, comfortably and quickly measure the clutch gap. The Clutchgap Measuring Tool covers a range of 0.5–0.8mm which is the most common range of clutch gaps in modern RC nitro cars. The Clutchbell Holder is used to hold centrifugal-axial style clutchbells with threaded pinion gears used on most modern nitro touring cars.